Jota’s Sam Hignett paid a timely visit to the Automobile Club de L’Ouest yesterday, January 18, the final day for applications to be submitted to race at Le Mans in June. “I’ve entered our car to run in LMP2 at Le Mans,” confirms Sam Hignett (at the wheel at Le Mans last year, right). So Zytek chassis #04S002 will shortly begin its transformation into an LMP2 hybrid. “There are certain differences between the LMP1 and LMP2 rules, wheel sizes for example, but essentially we intend to be using the Zytek hybrid kit that they’re developing for their own cars in LMP1,” explains the co-owner of the Jota team. LMP2 cars will race at 775 kg this year, 100 kg heavier than the original, optimum weight for this design, when it first appeared as the Reynard 02S, in the 675 Class. 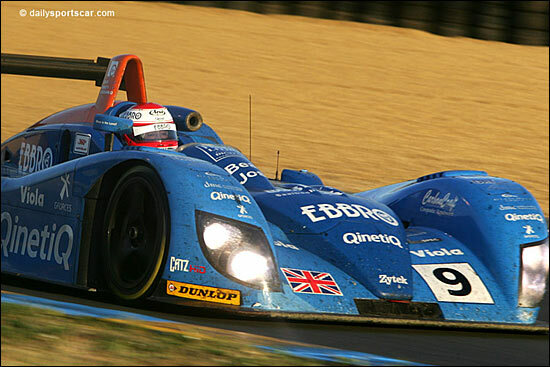 LMP2 is regarded as the ‘privateer’ class in ACO-rules racing, and Jota is a perfect example of a privateer team – although their car raced in the heavier category in 2005, and was enjoying a great run (heading for fifth overall) until very late in the race, when the gearbox failed. 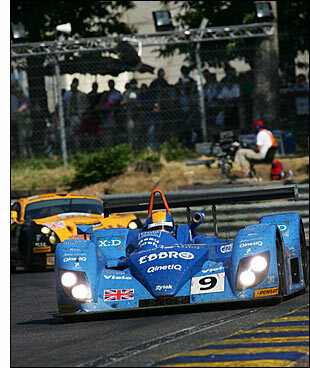 It will be very interesting to see how a hybrid Zytek 04S compares with other designs running in the LMP2 Class.